Wexford beef stacked with slow pork belly, smoked cheddar, pickle and Dijon mayo. Yum! Like and Share for our monthly prize draw! Hi All! Just letting you know there is a power outage here in Killinick. Unfortunately we’ll be closed for the rest of the day. However, business as usual from tomorrow. Apologies to all our hungry guests..
One of your 5 a day in there, somewhere… Happy Pancake Tuesday! Lovin Brunch… Smoked Salmon on brioche with sesame spinach and poached egg! Also, we’re now doing roast lunch every weekend. Tasty specials everyday! Like and Share for our monthly prize draw! The Karoo of South Africa is nestled in an idyllic landscape with rolling hills that lay alongside farmlands in an environment of extreme temperatures….Kinda like Killinick without the extreme heat then! 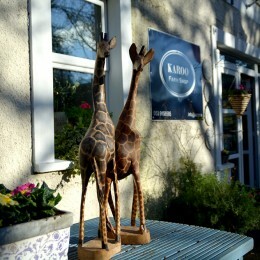 Growing up in Cape Town I would have never have guessed that my travels would lead me to the charming village of Killinick with my own little slice of Africa. 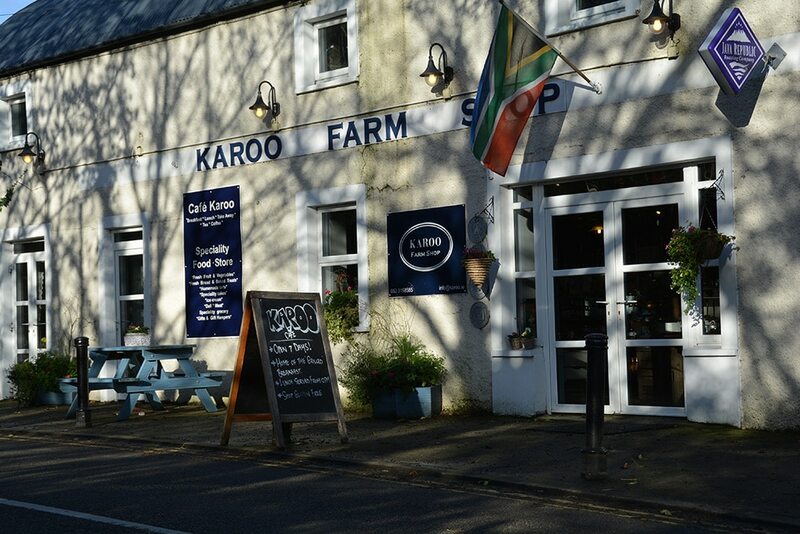 Don’t be fooled by the Africanisms though, the idea for Karoo was to create an environment where people could get away from all the frills and hype of “Run of the mill Eateries”. 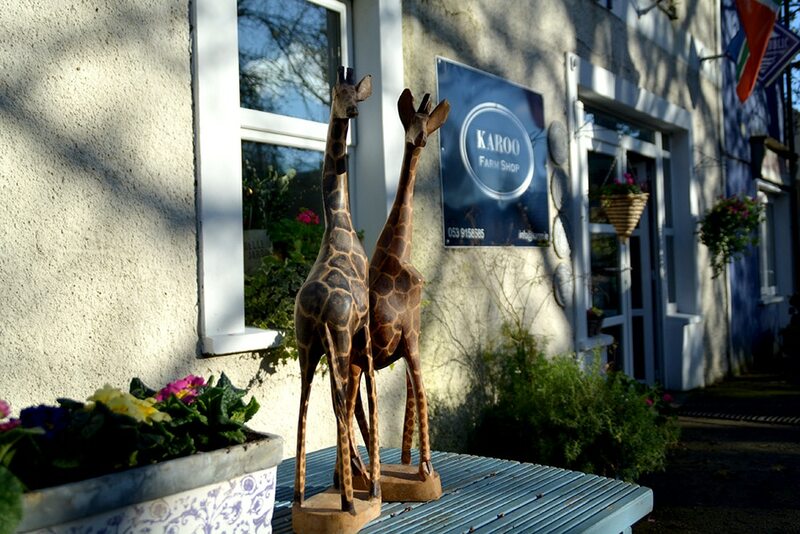 At Karoo what you see is what you get. Big, bold coffees made with a unique blend of coffee beans. Generous portions of tasty sarnies and salads to fill the gap in the afternoon, and homemade treats for after lunch or… just for a treat. 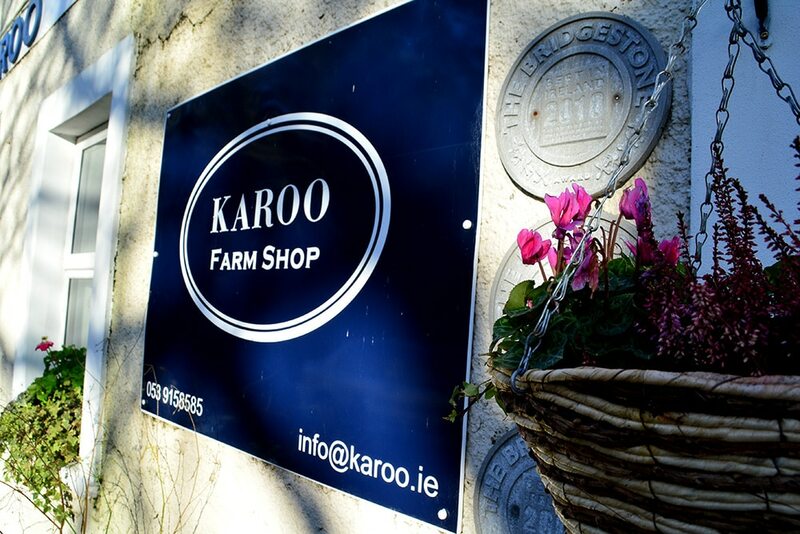 As well as the fresh produce in the farmshop, we also have some great gift ideas so you can take a slice of “Karoo” away with you. Whatever reason you may decide to head to Karoo, you’ll be glad you did. 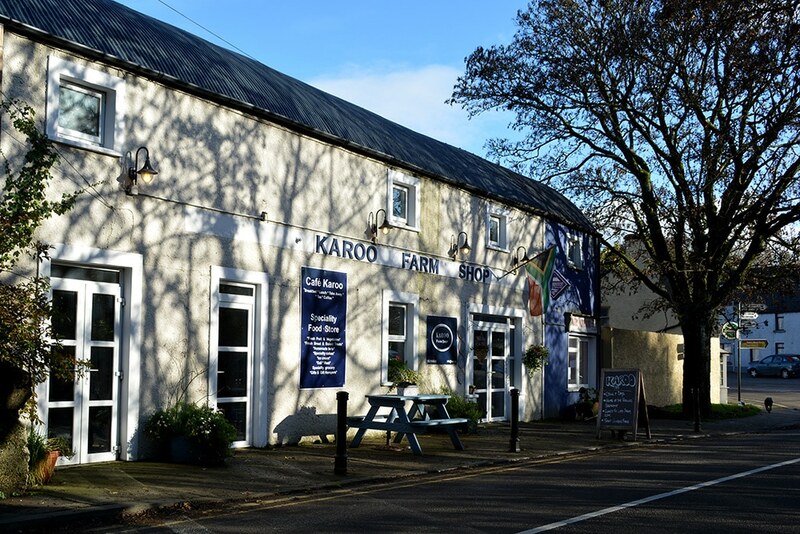 I’ve loved visiting Karoo Farm Shop & Café since it opened 14 years ago and have watched it go from strength to strength as a good food venue and pleasant place to frequent. Whether it’s for a ‘headspace’ cup of coffee midweek or a Sunday family get-together for lunch, Clint, Nessa and staff have a menu of wholesome dishes to suit all tastes. 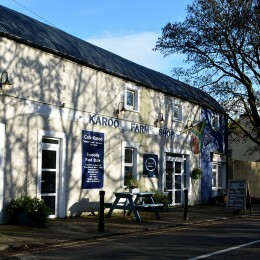 Cafés like Karoo are so important in rural Ireland, offering a pleasant meeting place for local and visitor alike as well as contributing to community life and the local economy. Not a bad use for the building beside what was the village cooper’s house! 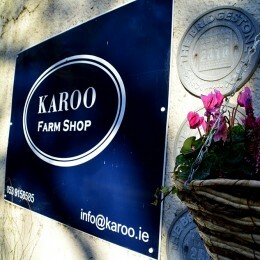 Karoo is well worth supporting if you are in the Killinick area. One other thing – the velvety cappuccino gets my number 1. My favourite spot in the Southeast! My favourite spot in the Southeast! the menu is brilliant! The perfect combination of healthy wholesome food and so so tasty! All day breakfast is amazing and the staff are so lovely! It’s hard to go anywhere else once you have tried this place! My favourite place to eat. Clint and the gang are amazing. So so friendly. The food is to die for and freshly prepared for you. Fab menu available and caters for every palate. Love it. Karoo is great!! I’m a regular in there. I’m on first name terms with a few of the staff. Friendly service and great food. Karoo hits all the good spots ! Gorgeous little spot in winter and summer. The food is really fresh and tasty. The shop is nicely supplied and the owners and staff are very professional. 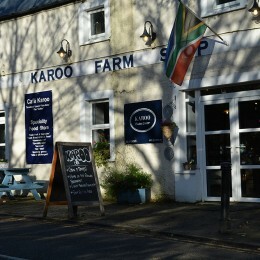 As a very demanding Italian food lover, I’m happy to say Karoo hits all the good spots ! It’s a fantastic farm shop. And serve delicious food. Will definitely call again. Food and Serves was Top Notch!!!! Thanks for the best Lunch in Ages!! !